It's probably nowhere to be found on your average "Top 10 Sitcoms" list, but Frank Dungan and Jeff Stein's Mr. Belvedere (1985-1990) managed to entertain enough audiences to last six seasons. Based loosely upon Gwen Davenport's 1947 novel, Mr. Belvedere (played by the late Christopher Hewett) is a well-traveled British gentleman who descends upon the Owens household in the suburbs of Pittsburgh, PA. 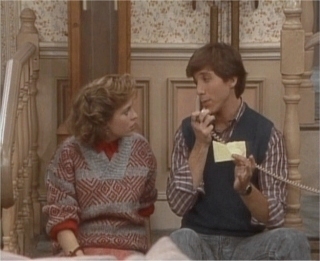 He's responding to a housekeeping ad placed by mother Marsha (Ilene Graff) and practically awards himself the job, much to the dismay of father George (Bob Uecker) and the eventual delight of children Kevin (Rob Stone), Heather (Tracy Wells) and Wesley (Brice Beckham). It's one of the genre's least conventional premises, yet the formula obviously struck a chord with audiences: despite never excelling in the weekly ratings, Mr. Belvedere performed well enough to last longer than most sitcoms. It even survived a cancellation shortly after the end of its third season, as persistent fans kept it alive for three more. 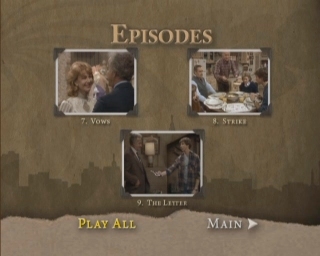 As with most sitcoms in television history, Mr. Belvedere plays it relatively safe: each 24-minute episode features little in the way of danger, and most every problem is resolved before the credits roll. Character development is present as Belvedere and the Owens family grow older and build deeper relationships with one another, yet most episodes aren't exactly part of a bigger picture. With that said, Mr. Belvedere wasn't immune to VSES ("Very Special Episode Syndrome"), which plagued many respectable programs during the 1980s and 90s. Luckily, they're kept to a strict minimum during these first two seasons: outings like "Wesley's Friend", which deals with society's growing fear of AIDS, is tastefully done and holds up fairly well. Instead of a preachy, over-the-top lesson, the subject is handled with respect and maturity. Despite the obvious limitations of the sitcom genre, Mr. Belvedere manages to hold up curiously well in most regards. The performances are charming enough, from the larger-than-life presence of Hewett to the obvious talents of young Brice Beckham. Venerable Major League star and "Mr. Baseball" Bob Uecker performs consistently well; though his love-hate relationship with Belvedere grows somewhat predictable after awhile, his sarcasm and charisma provide a welcome, down-to-earth quality that suits the show well. Ilene Graff also pulls her weight as mother Marsha, and her previous work experience with Hewett certainly helps cement their curious dynamic. 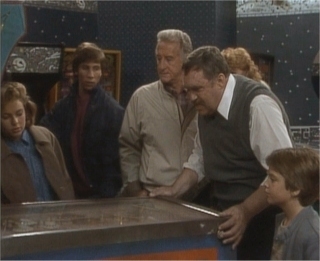 Though it's not without a few slower spots along the way, it's easy to see why Mr. Belvedere endured for several years after these first two seasons: it was different, sure, but it was certainly pleasant enough. 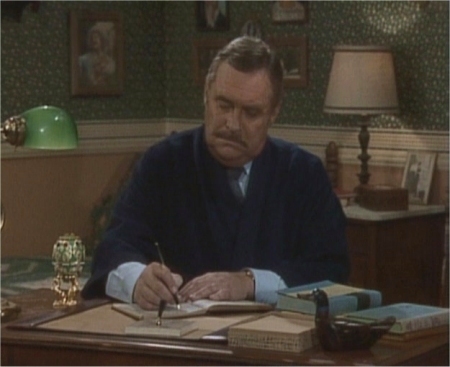 Presented on DVD by perennial pop culture enthusiasts Shout Factory, Mr. Belvedere proves to be a satisfactory effort. Though it's hardly up to their highest standards (Freaks and Geeks, anyone? ), fans should be pleased with what's been included here. The episodes appear to be full-length, there are no indications of music replacement and the original opening and closing credits---and Belvedere's closing journal entries, of course---have been included for each episode (NOTE: The "We'll be right back!" bumpers are not present, but that's hardly a cause for complaint). Aside from a relatively decent technical presentation, Shout Factory has also included a pair of small but appropriate bonus feature on Disc 5. Let's take a closer look, shall we? Presented in their original 1.33:1 aspect ratios, these 29 episodes looks about as good as expected. These appear to be taken from a videotaped source; colors are somewhat dull and image detail isn't exactly impressive, but this is certainly a watchable collection despite the minor flaws. Mild interlacing and pixellation can also be seen on occasion. Overall, fans should still be pleased with Shout Factory's efforts here, as these episodes undoubtedly look better than your average worn-out VHS tape. The audio presentation is also right on par; it's not spectacular, but still gets the job done. Presented in what appears to be a fairly standard Dolby Digital 2.0 mix, the dialogue, music and laugh tracks rarely fight for attention. Unfortunately, optional subtitles and Closed Captions have not been provided during the episodes or bonus features. Here's hoping Shout Factory improves their efforts in the near future. Seen above, the lightly animated menu designs are basic and easy to navigate. Each 24-minute episode has been divided into a handful of chapters (though no indexes are present), while no obvious layer changes were detected during playback. Discs 1-4 are paired off in slim cases with double-sided artwork, while Disc 5 gets a third slim case all to itself. A promotional insert is also tucked inside the glossy outer slipcover, while episode descriptions are provided on the back of each case. Only two bonus features have been included on Disc 5, but they're both welcome additions. The main attraction is "The Owens Family Remembers" (15:40), a collection of new interviews with Bob Uecker, Ilene Graff, Brice Beckham and Rob Stone; oddly enough, only Tracy Wells is absent. This featurette is somewhat clip-heavy at first, but the cast shares plenty of memories about the production, their on-set chemistry and the late Christopher Hewett. It's a shame that the cast didn't stick around to record a commentary or two, but this quick round of catch-up still serves its purpose. Also included is the Saturday Night Live Sketch entitled "The Mr. Belvedere Fan Club" (6:50), featuring Tom Hanks, Kevin Nealon, Chris Farley and Mike Myers, among others. This mildly amusing sketch---which first coined the term "Brocktoon"---has little to do with the series aside from its basic theme, but it serves as a fitting tribute to Mr. Belvedere's placement in pop culture. A more full-bodied piece about Hewett's career would've been appreciated, but at least Shout Factory has served up a few scraps. As mentioned earlier, optional subtitles and Closed Captions have not been included with this bonus content. 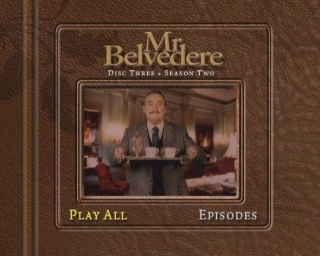 It's certainly taken a while to reach DVD, but Mr. Belvedere: Seasons One and Two proves to be a curiously satisfying affair. Though it never achieved more than a mildly large cult following, the series managed to survive the better part of a decade---and if fans do their part, we just might see future seasons on DVD. Shout Factory has done an adequate job with this five-disc collection, pairing a decent technical presentation with a pair of appropriate bonus features. 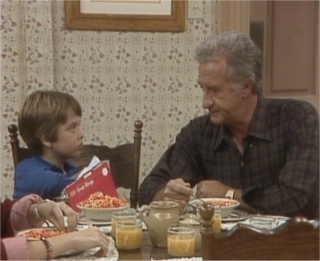 Say what you will about the show's offbeat premise and occasionally over-the-top stories, but Mr. Belvedere has held up fairly well during the last two decades; in fact, the wary might like it more than they remember. Casual fans should consider a rental first, but die-hard disciples of Brocktoon will want to pick this up without hesitation. Firmly Recommended. Randy Miller III is an affable office monkey based in Harrisburg, PA. He also does freelance graphic design projects and works in a local gallery. When he's not doing that, he enjoys slacking off, second-guessing himself and writing things in third person.